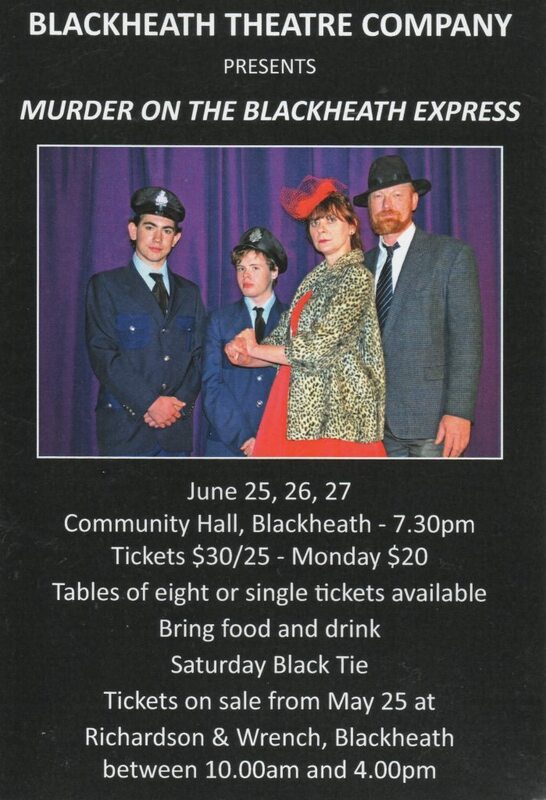 The first production of the newly formed Blackheath Theatre Company, ‘Murder on the Blackheath Express” written by Myra Hutton and directed by Sabina Erika will be performed at Blackheath Community Centre 25, 26 & 27th June this year. Tickets on sale now. Make up a table of friends (8 to a table), or join a Table. Enjoy! publicity, front of house management, ticket sales, music, sound and production generally. To prepare and put on a play in June this year. If this is a success we may be able to move into more regular performances, playwriting etc.